Facebook's new Technology will be able to Scan your Photos and Sell the Appropriate Information to Advertisers! Now that Facebook has added in its Terms & Services that it will be selling users’ data to the advertisers, expect a lot of changes. It was recently reported that patent for a new technology has just been granted to Facebook. The technology will let the Social Networking Platform scan through your photos and spot products in them. The data will then be sent to relevant brands so you can be offered more of their products. The patent was mainly granted for “Computer-vision content detection for sponsored stories”. In simpler words, it means that if you (a Facebook user) post a picture on the platform or Instagram (owned by Facebook), while eating a Big Mac (with the wrapper featuring McDonald’s logo), Facebook’s new technology can scan that photo and with the help of an “image object recognition algorithm”, it can spot McDonald’s wrapper and sell that information to McDonald’s, and give them an impression that you like their product. McDonald’s can then purchase ads on Facebook to convince you to buy more of their products. Additionally, Facebook can also extend the reach of these ads to your friends’ news feeds, as a type of sponsored story. Such an approach will most likely eliminate the need of convincing users to like a brand’s official page. The technology will simply scan through the uploaded photos, identify the brand and sell that to the appropriate brand and then sell ads. One more thing, Facebook will also be able to use the uploaded photos to get other required information (mainly demographic information), if the brand wants to gather that. Facebook will easily scan through the photos and create a “heat map” with changeable filters, which will in turn allow the marketers to search according to a particular demographic. However, it should be noted that just because a patent has been granted doesn’t mean that the filer has immediate plans for it, as it is evident from Amazon’s underwater lair and employee wristband tracking devices. But in case of Facebook, the technology is heavily in accordance with what the company has been doing for the past several years (selling data). Thus, it looks like Facebook does have big plans for the patented tech. The Social Media Giant has yet to issue any comment on this matter. 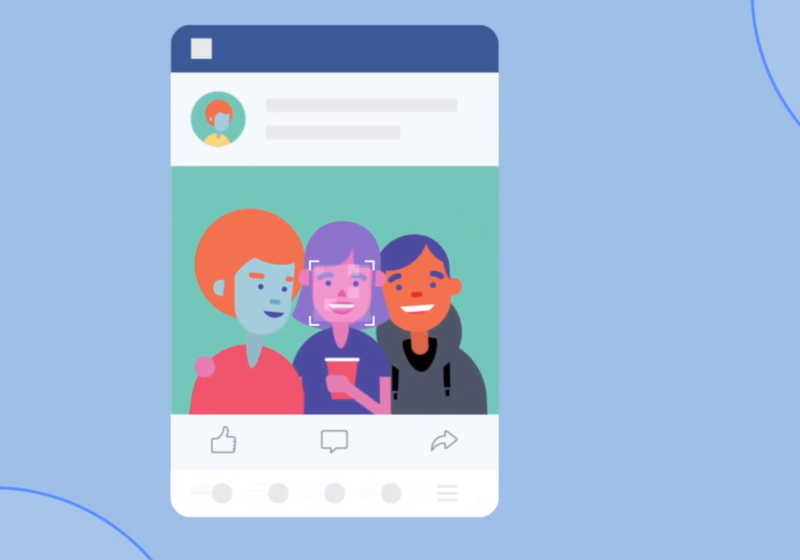 Facebook is using the facial recognition tech to help users "find photos of themselves even when they aren’t tagged in them" which can be helpful in some scenarios such as to "stop impersonation". Yet, the social media behemoth needs to be extra vigilant in-case it plans to play with the new tech and its users personal data to target ads.